Each one of us have our own favorite songs and connect ourselves to a particular era.. Bollywood music is also a compilation of songs belonging to various genres.. So, lets go through this journey of bollywood music.. The beginning era of bollywood music saw many singers getting influenced with nasal style of singing.. 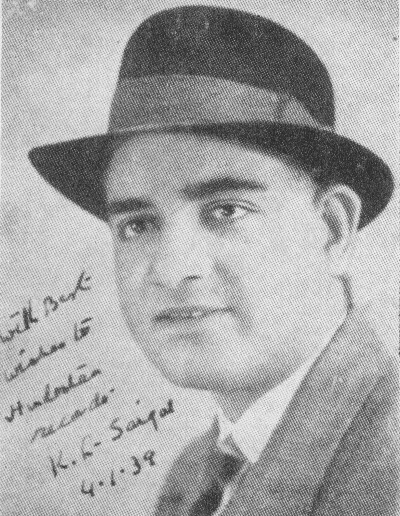 The audience started liking the voice of KL Saigal, Noorjehan, Shamshad Begum, Zohrabai Ambalewali and many others who opted this style.. Those were days when bass singers with heavy nasal voices reigned over film industry. Not to forget that even the melody queen Lata Mangeskar and Yoddling king Kishore kumar were impressed with this style that they tuned their voice to suit the style.. The era of 50s and 60s is considered to be the golden era of bollywood music.. Many Music directors came in limelight teaming up with their favorite lyricists and singers.. SD Burman, Salil Chowdhry, Madan Mohan, Naushad, OP Nayyar, Shankar Jaikishen, C Ramachandra are just to name a few.. If this era is talked about, then we can talk about it for ages.. The influence of western music could easily be felt during this era.. It was not only Jazz, RocknRoll which made an entry into bollywood music, but even folk songs were given its place.. The MDs of this era created a magical tune which suited singers like Rafi, Lata and Asha.. The downfall of singers like Geeta Dutt, Noorjehan paved the way for the young sister duo – Lata Mangeskar and Asha Bhosle.. The nasal style of singing got replaced by thin voices.. Not to forget the mujhras and qawallis which got popular in this era.. 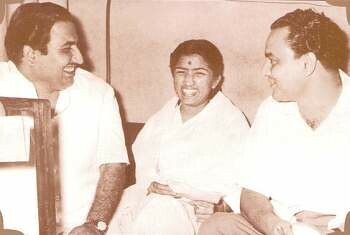 Among the singers, it was Mohammed Rafi who managed to impress the most. This was because he could sing a ghazal, bhajan as well as the rock ’n’ roll song with equal ease. During the decade, he sang for a whole range of actors, both young and old. He sang the classical songs as well as the new rock-based songs. To me, all the songs of this era are magical which will remain in our memories forever.. There was a trend in bollywood music where disco took the front seat.. The music directors Bappi Lahiri, Kalyanji – Anandji, RD Burman brought disco to heights which gave the work for choreographers to choreograph disco steps and fashion designers designed glozy costumes for the dancers.. Red, Orange, Green and every un-imaginable color of light blinked on a cardboard studio set.. 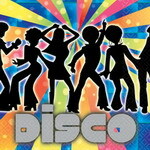 Drum beats were heard in all disco techs, cars and the peppy songs gave a change to the music lovers.. According to me, this was the era which gave birth to current disco, remixes, RnB and hiphop..
After the demise of RD Burman and Kishore Kumar, the bollywood music faced its downfall.. The era of late 1980s and early 1990s was one of the worst times of bollywood music.. There are hardly songs very popular from this era.. Singers tried to imitate the legendary singers to get a place in the industry.. The upcoming music directors struggled to impress the audience.. Infact it was the stepping stone to the next era of bollywood.. May it be singers, music directors or even the actors were all newly introduced to the industry.. It took sometime for the bollywood to get steady.. Hardly two or three albums became popular every year..
After every downfall needs to be a raise.. The later 1990s gave a good platform for many music directors to showcase their talents.. AR Rehman, Jatin Lalit, Aadesh Shrivastav, Anu Malik came to revive the lost charm of bollywood music.. AR Rehman’s music not only became popular in India, but all throught out the world.. Some composers tried their best to revive the golden era songs by producing remixes.. The tunes of the original songs were changed to suit the current generation.. Youngsters loved the remixes and music directors found this as the best way to revive the old songs.. The critics have their own say on this.. Will have a separate post on this sometime later.. Many movies, Many songs.. Many songs, Many music directors, Many music directors, many singers.. This is the current trend of bollywood music.. Folk, Sufi, hiphop, RnB, romantic, remixes – name the genre and you can find them in the current era.. The listeners prefer songs like bheedi jalaile, kajra re.. But along with that, songs like Maa from Taare Zameen par also gets popular.. Each music director have stuck to their particular style of music.. With the music of a song, one can easily identify who is the music director.. Think about it – AR Rehman has a unique style – One can identify the songs composed by Shankar, Ehsaan Loy and Vishal Shekhar.. Not to forget the style of Himesh.. Pritam’s plagiarized songs are known to all.. But wait, this era is not as bad as it has been portraied by the critics.. Which era have you seen all the genres shining high?? Well, since its only about Bollywood, I would stick to the subject. No mention of composers like Timirbaran Bhattacharya (who was considered to be a legend by all) and Bhupen Hazarika! What about Manna Dey? Doesn’t he find a place in your list? What about Illya Raja also? Thanks for ur comment.. Well, this article is more of a generalized one talking about the trend.. If you see the GIF posted, it contains all the top MDs, singers and Lyricists.. One post is not sufficient to mention all the stalwart names.. Will be having an individual post on all those whom you have mentioned.. Keep visiting the site!!! Remarkable posting.This field is too wide to cover in one blog.Keep writing more about individual singers and composers. What’s up to all, it’s in fact a nice for me to go to see this web site, it includes precious Information.